First, a few practice questions of this genre. 1. State politicians are optimistic that the state’s economic downturn will not be as severe as had been predicted. Their hopes are bolstered by the data released last week: the jobless rate declined two full percentage points in the last six months. But, many economists have pointed out the flight of unemployed residents to the bordering states where jobs are plentiful. Furthermore, many out of work residents have been rehired at minimum wage: virtually all new jobs in the state in the past year have been minimum wage jobs. Economists cast grave doubts on the economic well-being of the state. (A) The first is evidence in support of the conclusion; the second is that conclusion. (B) The first is evidence opposed to the conclusion; the second is an interpretation of the conclusion. (C) The first is an interpretation that calls the conclusion into question; the second is that conclusion. (D) The first is a conclusion the argument calls into question; the second is the evidence that calls it into question. (E) The first is evidence taken to support a conclusion; the second is a position that opposes that conclusion. 2. The Interstate Bridge over the Apache River, built in the 1950s, shows a substantial amount of rust: as much as 45% of its surface is coated in rust. Community activists have argued that the bridge presents a hazard: it is likely to collapse in places where it has rusted through. Professors of mechanical engineering at the local university did an extensive analysis of the bridge. These professors and their graduate students determined that 98% of the rust on the bridge exists on the surface only, and actually seals the underlying steel from the corrosive influence of the elements. The results of this academic study suggest that the bridge is safe for continued use. (B) The first is the main conclusion of the argument; the second provides evidence that calls this conclusion into question. (C) The first is evidence taken to support one conclusion; the second provides evidence that calls this conclusion into question. (D) The first is a position that the argument opposes; the second is the conclusion of the argument. (E) The first is an interpretation of evidence; the second calls that evidence into question. 3. Aid workers have worried that residents of the Eastern Gobi Refugee Camp might be at risk for beriberi, a severe deficiency of Thiamine, a B vitamin. Thiamine is found in high concentrations in cereal grains, and many of the residents have grain free diets because of allergies. Doctors and nutritionists assigned to investigate the situation have disagreed, noting that the residents grow sustenance amounts of potatoes, kale, and cauliflower on the surrounding farm lands, and these foods provide substantial sources of Thiamine as well. Because the residents of this refugee camp do not have any allergies to any of these latter foods, and crops have been good because of favorable weather conditions, their risk of beriberi is much lower than originally thought. (A) The first is evidence in support of the conclusion of the argument; the second is that conclusion. (B) The first is evidence that seems to contradict the conclusion of the argument; the second is that conclusion. (C) The first is the conclusion of the argument; the second calls the conclusion of the argument into question. (D) The first is the conclusion of the argument; the second is an alternate interpretation of this conclusion. (E) The first is evidence in support of the conclusion of the argument; the second is evidence that contradicts the conclusion of the argument. Solutions will appear at the end of the article. The GMAT Critical Reasoning questions can be roughly grouped into eight categories, of which Weaken, Strength, and Assumption are by far the most frequent. One of the less frequent question types is the Structure question. CR Structure questions are not concerned so much with the details of the subject matter of the argument — rather, they are focused on the formal structure of the argument, how the argument is put together. By far, the most common type of Critical Reasoning Structure question is the “boldface” question. Most of the CR Structure questions in the OG are boldface questions, with just a handful of other Structure questions of the “A responds to B by” variety (Cf. OG13, CR #34, #85). Of course the boldface structure questions are the easiest to spot from a mile away, because they are the only question type on the entire GMAT that has bold text as part of the prompt! Most of the questions of this type actually have two difference sections in bold, as do the three arguments above. 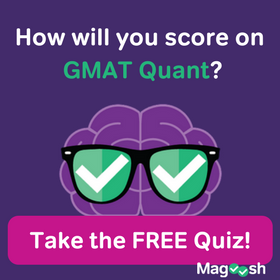 Of course, you should begin any GMAT Critical Reasoning question by reading the question first, so you identify the question-type before you read the argument. Furthermore, notice that the answer choices are always generic — always referring to arguments in the abstract, and never to the specific content of the prompt. What these questions ask is a level of abstraction removed from the specifics of that content. As you read any argument, whether on the GMAT Critical Reasoning or elsewhere, pay attention to the role of each sentence. This is always good practice for dissecting any argument. If you can label the role of each sentence in any argument, you understand that argument well. Practicing this will prepare you well for Boldface Structure questions. Keep in mind the huge difference between evidence and a conclusion or position. Evidence is always fact, stone cold fact — “Unemployment numbers rose“, “This company bought that company“, “this medicine has such-and-such side effects.” Sometimes evidence is given as something one of the voices in the argument “says” or “points out.” Evidence is always about what actually happened in the objective world: in most arguments, the evidence itself is beyond dispute, and what the argument is about is how to interpret the evidence. A conclusion is an interpretation, a deduction, based on the evidence. Someone else who accepts the evidence may or may not accept a given conclusion based on the evidence. Look for signal words, such as since, because, therefore, “we can conclude that“, etc. Most of these questions have two bold sections, and not surprising, most of these arguments have two voice, opposing points of view (politicians vs. economists, aid workers vs. doctors, etc.) For example, this is true of all three questions above. Pay attention to what those different voices are doing — in particular, for each bolded sentence, ask yourself: this statement supports which side? If there are two opposing views, then most sentences will support one and contradict or call into question the other, although there may be some fundamental evidence that both sides accept. Sometimes, A will come to one conclusion based on certain evidence, then B will present new evidence, evidence that calls A’s conclusion into question, and on the strength of this new evidence, B will come to a new conclusion. This is a very typical layout for a Boldface Structure question. Finally, even more so than most other Critical Reasoning question types, on a Boldface Structure question it’s very important to pre-formulate an answer in your own words before you even begin to engage with the answer choices. If you would like to express anything about this topic, or ask a question, please let us know in the comment section below. 1) In this argument, view #1 is that of the optimistic politicians, who look to the first piece of evidence #1, the jobless rate decline, for proof. That first piece of evidence is the first bold statement. Then view #2 is that of the economists. They cite more evidence, evidence that calls into question the politician’s optimism in view #1. Finally, we get the economist’s conclusion, view #2, the second boldface statement. How to express that? The second is definitely the main conclusion of the argument, but the first, evidence #1, is not necessarily something the economists would reject, not something that opposes the economists or calls their view into question. The economists are well aware that the jobless rate has declined: they simply cite additional facts that cast this first fact in a different light. One way to say it is — the first boldface statement, evidence #1, was used to support one conclusion, view #1, and the second boldface statement is a second conclusion, view #2, that calls the first into question. This is what (E) says. (E) is the credited response. 2) The first statement is a fact: everyone agrees with that. The second sentence is a conclusion (signal words: “argue that“) — the first boldface section is conclusion #1, the conclusion of the community activities. Then more facts — the results of scientific investigations are always facts! The final sentence is another conclusion (signal words: “suggest that“), conclusion #2, the conclusion of the professors. Both boldface statements are conclusions, and the argument ultimately disagrees with the first and accepts the second — the second is the conclusion of the argument as a whole. This is what (D) says. The first is a conclusion, a position, that the argument opposes, and the second is the conclusion of the argument. (D) is the credited response. 3) The first sentence is at least a tentative conclusion — any prediction cannot be evidence: it has to be a conclusion. The second sentence is the evidence for this first position — this first boldface part is the evidence #1. Then we get the doctor’s view. These doctors don’t dispute evidence #1, but they also point out evidence #2 — thiamine from foods like potato & kale & cauliflower, which these refugee folks do eat. Finally, we get conclusion #2, the doctors conclusion, the second boldface part. How do we say this? Evidence #1, the first boldface part, seemed to support conclusion #1, but as new evidence shows, conclusion #2, which says the opposite, is correct. The second is the conclusion of the argument. (B) is the credited response. The second is definitely the conclusion of the argument. The first is evidence, and by itself, that evidence would seem to support conclusion #1 (the opposite of conclusion #2), so in that sense, it would seem to oppose conclusion #2. This post was very helpful. I was having nightmares about boldface CRs. The comments section actually answered many of my doubts. Thank you mike for all the posts 🙂 Cheers. You have explained so brilliantly the concepts of – position, evidence and conclusion. Please help me understand what is an argument? Thanks because I know you will come up with the perfect explaination. Briefly, an argument contains premises, assumptions, evidence, and a conclusion or conclusions. An argument is not the same as a conclusion, although many students often confuse this. All of these things make up an argument: the argument is what the author is trying to convince you of; everything in the argument builds toward the conclusion, but the conclusion is not the same thing as the argument itself. When doing any CR question, would it be safe to assume that the last 1 – 2 sentence is the stance of the author? Very frequently, I find myself having difficulty finding what the author’s position is. For example in #3, Because the residents of this refugee camp do not have any allergies to any of these latter foods, and crops have been good because of favorable weather conditions, their risk of beriberi is much lower than originally thought. This last line would be the author giving a reason (evidence), and therefor concluding that the risk of beriberi lower. My friend, USUALLY the final sentence of a CR passage is the author’s conclusion, but this is not true 100% of the time. Don’t simply rely on that as a rule. Here, in #3, yes, the last line, especially the bold part, is the author’s conclusion. 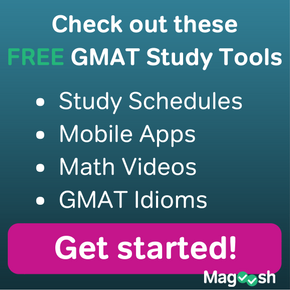 Study how real-world arguments are structured: this will give you a much better sense of GMAT arguments. Your explanations helped me to understand how to approach this. You are quite welcome, my friend! 🙂 I’m very glad that you found this helpful! Best of luck to you! Brilliant Article Mike 😀 helps a lot in providing deep insight into this tricky question type. You are quite welcome, my friend. 🙂 I am very glad that you found this helpful! Best of luck to you! Can you please explain me what do we understand by “position of the argument” and “interpretation of the evidence”? Another doubt , in Q2, how did we come to the conclusion that suggestion by professors is the conclusion of the argument as it just mentions ” The results of this academic study suggest that the bridge is safe for continued use” as I believe this points out only to the outcome of the professors’ analysis ? What if we had a third group that says “bridge is safe only for 2 more years to use”. How do we decide on conclusion then? Great questions, and I am happy to respond. 🙂 A position is any opinion or point of view someone might hold — “I think Q is right” or “I think people who think Q is right are crazy!” or “People who dismiss the believers of Q are being unfair.” — those are positions. Anything that is an opinion or a judgment based on the evidence is a position: in particular, the conclusion of the argument is the position that the argument as a whole takes. In the second argument, the community activists take one position, and the professors take another. Evidence consists of just plain objective facts. For example, the fact: “Men get into more car accidents than do women.” We could do statistics research on accidents and come to that measured, objective conclusion. That’s evidence. Now, what does this mean? Does it mean that men are worse drivers than are women? Does it mean simply that there are more male drivers on the road? Those are interpretations of the evidence — that is, deciding what the evidence means, forming a judgment or a conclusion about the evidence. GMAT CR is all about discerning the difference between the objective evidence, the plain facts, and the different judgments/ interpretations/ conclusions folks attach to the evidence. Recall that in GMAT SC, we are not looking for the best possible answer, the ideal answer, but simply the best answer from among the five choices given. Similarly, in GMAT CR, we are not looking for the best possible conclusion, the most rational and well-informed conclusion possible, but simply — of the voices in the prompt, to which does the passage give authority? In this particular prompt, we have “community activist” who see a lot of rust and think it’s a problem: their approach is literally superficial — they see the surface and nothing else. Then, we have “professors” who do an “extensive analysis” — that’s not just an off-the-cuff opinion or suggestion. In other words, these scientific folks have done all sort of careful and precise measurements on the bridge, which allows them to determine the integrity of the inherent structure of the bridge. One group was just looking at the outside and thought “Gee, there is a problem.” Another group took high-quality sophisticated measurements, and as a result of an extensive study, was able to conclude, in a scientifically rigorous way, that there was no problem. Of those two groups, which one sounds more believable? Which one sounds like it has more authority? What might happen after the prompt — a new analysis, more evidence, another interpretation — all of that is 100% out of scope. It’s simply a trap to spin into imaginings about what else could be true. 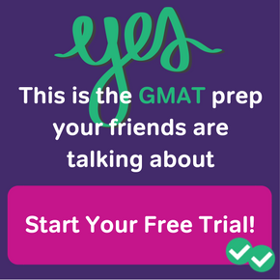 The task on the GMAT CR is analyze exactly what is and what isn’t in the prompt. You have to be precise in noticing exactly what words, exactly what phrases are used in the prompt, and what key things are not mentioned explicitly? That’s where the focus should be, not on unconnected other things that could be true. 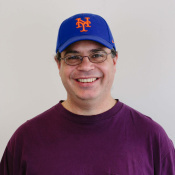 Thanks a lot Mike! The explanation is beautiful. Just to make it more clear for myself, as in case of BF stimulus in which almost invariably we have two logically opposite opinions listed, is it necessary that the argument will come to a conclusion(of course,the powerful one) ? I mean, do we always have a stimulus in BF questions(for any questions for that matter which lists 2 opposite opinions) that concludes at some point with either of the 2 opinions? And can you also explain the term “consideration” in the same context (the example that you mentioned above) . GMAT CR BF sometimes have two completely opposing views, and more often, one view that clarifies or modifiers another. They are not always directly opposed. Is there always a conclusion? Well, yes, in the sense of a view to which the argument gives more weight. The answer may or may not use the word “conclusion” in explaining the role of the BF statements. The word “consideration” simply means “thinking carefully.” The word has the connotation of thoroughness and diligence. If I say, “I have given this option consideration,” I am implying that I have thought deeply about the option, have examined it from every perspective. Why not option C for the 1st question? The economists cited at the end understand the whole picture — they know the first BF statements, that the jobless rate declined two full percentage points in the last six months, and they can explain it, for example, by the flight of the jobless to other states. That decline is already part of their picture and they have already explained it, which means that it poses no objection to their conclusion.